Collagen is an essential protein that you need in your body for its connective tissues. You have these tissues everywhere, including joints, muscles, cartilage, and even your skin and hair. While there are collagen supplements you can take, some people can’t due to dietary restrictions, while others would prefer to focus on natural food sources. Here are some of the top foods (animal-derived and otherwise) for getting more collagen through your diet. The first food that is excellent for getting more collagen into your body is bone broth. 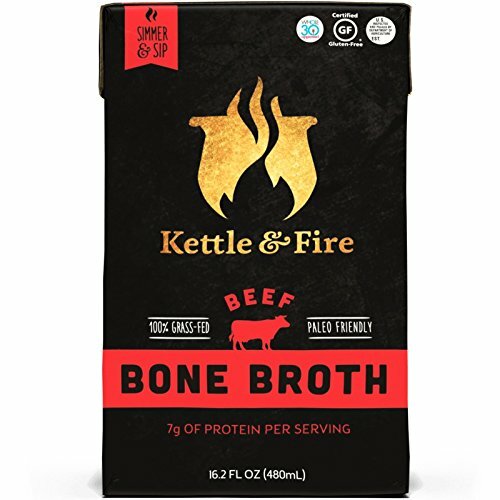 You can’t really go wrong with bone broth, as you get parts of the animal you wouldn’t normally eat, since this is made by soaking animal bones. Most types of collagen will come from parts of the body like the bones, joints, and ligaments, which is the benefit of bone broth. You will find different types, including beef bone broth, chicken bone broth, and even fish bone broth. Each has its own set of benefits. For plant-based sources of collagen, you won’t necessarily get the collagen directly from the foods, but it can help to boost production of collagen in your body. You want to look for plant sources of vitamin C, like red bell peppers. These not only help to boost collagen, but they provide important amino acids and antioxidants that are great for your gut health, immune system, and your skin health. If you don’t like bell peppers, try other sources of vitamin C, like broccoli, kiwi, grapefruit, and oranges. The reason salad is considered healthy isn’t just because most lettuce and leafy greens are low in fat and calories, but because it is so nutrient-dense. Having more leafy greens, especially the dark versions like spinach and kale, are going to provide you with some amazing nutrients, including boosting collagen production in your body. Look for the darker green vegetables as well, such as arugula and broccoli. If you eat seafood, you can’t go wrong with eating more wild-caught salmon. Make sure to look for the wild-caught salmon and not farmed salmon, as it is always better for you and more nutrient-dense. You are going to get important minerals and proteins in salmon, along with omega-3 fatty acids, and tons of other vitamins your body needs for healthy collagen production and overall health and wellness. In addition to these foods, don’t forget you can also boost collagen production by eating more eggs.